Despite their non-combatant nature, Support Vehicles are undoubtedly the backbone of every military force. 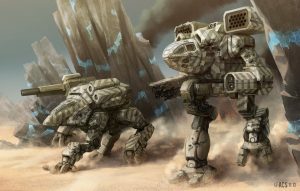 Though MechWarriors might get the glory, it is these humble machines which provide the necessary materials in order for their BattleMechs to even function, much less fight. Not intended for combat use, the nature of their job means support vehicles often end up in the middle of a firefight anyways, with many carrying a limited amount of armor and weaponry. What constitutes a support vehicle covers a very wide spectrum of machines. Anything from cargo trucks to communication satellites, exoskeletons to IndustrialMechs, even civilian vehicles conscripted into the military, may be considered a support vehicle. Support Vehicles are classified depending on their chassis type, and come in small, medium and large sizes. Airships are aerostatic constructions, using lighter-than-air gasses (such as inert helium) for lift. Though capable of weighing as much as 1,000 tons, the vast majority weigh less than 300. They use both rigid and non-rigid frames, and are typically maneuvered by propellers. Civilian airships are particularly popular as low-tech cargo transports, especially in areas without rail or sea transportation. Military airships are also used primarily for transportation, although recently they have been used for surveillance as well. 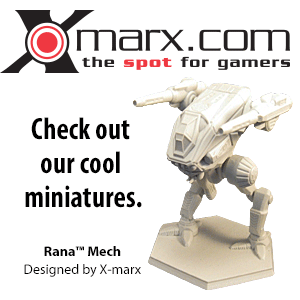 Too fragile for combat, many are nevertheless armed for self-protection, including anti-'Mech weapons. Exoskeletons are specialized mechanical suits, weighing between 80 to 400 kilograms, that increase the strength, speed and other attributes of the wearer. Often used for industrial applications, Exoskeletons may also be utilized for warfighting, where they are commonly known as Power Armor (Light) (abbreviated PA(L)). Fixed-Wing support vehicles operate on a principle similar that of conventional fighters, though the category includes turbo- as well as jet-propelled craft. Typically weighing less than 200 tons, these craft are less flexible than VTOLs because of the need for runways in order to operate. However, they can operate at higher altitudes, with sturdier and larger airframes. Both civilian and military aircraft are commonly used for mid-air refueling, transportation, evacuation and similar roles, along with surveillance and search and rescue. Those craft which are armed tend to mount only anti-personnel weaponry. Weighing less than 100 tons, Hover Support Vehicles ride on a cushion of air, generated by lift fans concealed beneath the vehicle's polymer skirt. Also known as "skimmers", hovercraft can cross land and water with equal ease, and are greatly employed on watery planets. Civilian models generally serve in a number of transportation roles, as well as firefighting or DropShip crash rescue operations. Military hovercraft, due to their unique abilities, are commonly used for mine-sweeping, amphibious assaults and medivac missions, and are often armed with anti-personnel or missile weapons. IndustrialMechs, also known as UtilityMechs and WorkMechs, incorporate many of the same design features found in BattleMechs. As they are based primarily around civilian use, they lack many of the same warfighting abilities as their more hostile cousins, and are decidedly inferior if caught in a firefight. IndustrialMechs are used for a wide variety of tasks, including construction, mining and forestry. Naval Support Vessels are a cost-effective means of transporting cargo on worlds with large bodies of water. Weighing as much as 100,000 tons, the size, shape, method of propulsion and construction of these ships varies greatly throughout the Inner Sphere, though displacement hulls are the most common, followed by hydrofoil and submarine designs. Smaller ships are often vacu-formed in one piece, while larger vessels consist of an alloy frame wrapped in composite materials. Military vessels are often used to patrol shipping lanes and provide coastal security and can carry a variety of equipment. Railroads are one of the cheapest and earliest introduced methods of transporting cargo throughout the Inner Sphere. They are also able to transport more cargo than other ground-based methods, with the largest trains stretching for several kilometers and transporting tens of thousands of tons. Trains come in two types, either conventional or maglev, and are most commonly powered by either Internal Combustion Engines or Fuel Cells, although fusion engines are popular on planets which can afford the extra costs. The standard Inner Sphere container is 12mx2.5mx2.5m, although specialized cargo holders are available, as well as passenger cars. Satellites are non-manned space vehicles placed in permanent orbit around a planetary body, detailed to perform tasks that are either time consuming or cost ineffective for a human-controlled spacecraft. These spacecraft are principally used as communication relays, science vehicles, and can conduct surveillance during combat, providing essential information for forces on planets & in space. Tracked Support Vehicles are equipped with tracks that allow for an easier operation over difficult terrain, though they are limited by their expense, maintenance requirements, and damage done to paved surfaces. Weighing less than 200 tons, the number of roles fulfilled by tracked vehicles runs the gamut from combat engineering, arctic exploration and riot control to battlefield recovery, farming and construction. VTOL Support Vehicles utilize rotary-wing or vectored-thrust propulsion methods, allowing for a superior level of maneuverability and speed compared to most other vehicles. However, their high weight-to-thrust ratio limits their weight to less than 60 tons. Civilian VTOLs are often used to transport VIPs, provide news coverage and for search and rescue. Military VTOLs are often used to ferry supplies to the front line, though they may also be used for combat vehicle and 'Mech transportation. Wheeled Support Vehicles typically can weigh up to 160 tons, though most are usually 80 or less. Such vehicles are prized for their simplicity and inexpensive nature, operating most efficiently on established road networks, though some models possess off-road capabilities. They are the most common support vehicle type, performing a number of jobs such as fuel or troop transportation. Military vehicles are typically armored to a limited extent and carry anti-personnel weapons, though some do mount anti-vehicle and anti-'Mech weapons. WiGE Support Vehicles take advantage of the Wing in Ground Effect in order to achieve limited flight. Part hovercraft and part aircraft, WiGE Support Vehicles are uncommon, though they are typically much larger than the combat variety. Requiring an initial burst of speed, WiGE craft can weigh as much as 240 tons, though the most common are less than 80. Normally, they are used for fast transportation across long distances. While the weight/mass of a support vehicle is a specification just as important to identifying it as any other vehicle type, they are not generally categorized simply by their tonnage. Instead, the relative size of the support vehicle helps to identify its overall role: small, medium, and large. Small Support Vehicles tend to mass less than 5 tons, but they are generally characterized by their civilian roles as personal transports: motorcycles, automobiles, personal water vehicles, etc. Militarized small vehicles include the average light utility utility trucks (e.g., jeeps), motorcycles and similar personnel transports for small units. Civilian examples of medium Support Vehicles are generally those that represent mass transit, such as buses, airliners, DropShuttles, etc. However, the average construction machine, such as dump trucks, graders, and pavers would also represent this class. Generally, if it is an average vehicle seen in an average day by an average person (and not a personal craft), it would be most likely identified as a medium Support Vehicle. For the military unit, the same is true: fuel and supply transports, personnel carriers, and salvage trucks would be considered medium sized. Large Support Vehicles are those Support Vehicles that are "gigantisized" when compared to their average cousins: oversized mining dump trucks, launch crawlers, and supertankers would all be considered large sized. The military categorization of these is a bit more lenient, as the bigger recovery vehicles for the heavy and assault BattleMechs would classify as large, but would still be as uncommon on the average street as to draw attention to their operation. ↑ Tactical Operations p. 10 - Support Vehicles - Basic description of a Satellite. ↑ 7.0 7.1 7.2 7.3 TechManual, pp. 117-118, "Weight (and Size)"
This page was last edited on 4 April 2019, at 06:56.